421100 ALLWEILER ALLWEILER PUMPS - Operation and Maintenance Manual with SPARE PARTS LIST and drawings. SET MANUALS. SEE CONTENT in PDF format. 421200 ALFA-LAVAL ALFA-LAVAL Pumps - Instruction manuals, Drawing and Spare Parts, Data sheets etc. SET MANUALS. SEE CONTENT in PDF format. 421300 DESMI DESMI PUMPS - Operation and Maintenance Manual with Spare Parts List. SET MANUALS. SEE CONTENT in PDF format. 421400 FRAMO FRAMO PUMPS - Operation and Maintenance Manuals with SPARE PARTS LIST and drawings. SET MANUALS. SEE CONTENT in PDF format. Operation and Maintenance Learning VIDEOs. 421500 BEHRENS BEHRENS Pumps Series VRF, SFN, VKR, SOH, VRW / KRAL screw Pumps K series (from K 5 to K 1701 pumps) / PF AFG Eccentric helical rotor pumps / AUDOLI & BERTOLA Division of GRUPPO ATURIA VAL series vertical deepwell centrifugal pumps / UNISELB self-priming pump. SET Manuals, Drawings, Parts Lists. SET MANUALS. SEE CONTENT in PDF format. 421600 IRON IRON PUMPS - Operation and Maintenance Manual with SPARE PARTS LIST and drawings. SET MANUALS. SEE CONTENT in PDF format. 421700 KSB KSB PUMPS - RSV centrifugal pumps series, RSL centrifugal pumps series, RDL centrifugal pumps with radial impeller series, Self-priming Centrifugal pumps AHK - Operation and Maintenance Manual with SPARE PARTS LIST and drawings. SET MANUALS. 421900 LEISTRITZ LEISTRITZ PUMPS - LB series (LB20, LB23, LB26, LB27 Pumps), LN (LNA) series, L2N G, L3N G series PUMPs - Operation and Maintenance Manual with SPARE PARTS LIST and drawings. SET MANUALS. 422000 COFFIN COFFIN MODEL "DEB-16" Turbine-Driven Centrifugal Boiler Feed water Pump - Installation, Operation and Maintenance Instructions with SPARE PARTS LIST and drawings. 422100 EATON EATON 420 Mobil Piston PUMPS (ADU041,ADU049, ADU062) / EATON Medium Duty Piston Pump Model 70523 or 70553 - SPARE PARTS Catalogs with drawings and Repair Information. SET MANUALS. 422200 TAIKO KIKAI TAIKO KIKAI PUMPS - Operation and Maintenance Manual with SPARE PARTS LIST and drawings. SET MANUALS. SEE CONTENT in PDF format. 422300 IMO IMO screw pump ACD, ACE, ACG/UCG, LPQ ? Maintenance and Service Instruction with drawings and parts list. Screw low pressure Installation and Start up Instruction for LPD, ACD, ACE, ACG/UCG, ACF/UCF, LPQ and ABQ pumps. IMO HFO purifier oil feed pump ACP32, ACP38 ? Operating & Maintenance Manual with drawings and spare parts list. IMO Pump Parts Catalog (see description). SET INSTRUCTIONS. 422500 SHINKO SHINKO (Shinkokinzoku Industries Co. Ltd) HIROSHIMA - CARGO PUMPING SYSTEM (pumps include ballast pumps, Woodward Goverbor, Automatic unloading system). 472 pages manuals and drawings with spare parts list. 422600 HAMWORTHY HAMWORTHY C2G centrifugal pumps brochure with Capacity range. Free download. 422700 SWANEHOJ SWANEHOJ Deck Cargo Pump H125/125-4-K - Operation and Maintenance Manual with SPARE PARTS LIST, Cargo buster pump NM 150/200b and Deep-well cargo pump NH 150/150-5-K+1 - Operation and Maintenance Manual with SPARE PARTS LIST and drawings. SET MANUALS. 422800 VIKING VIKING Magnetic drive pumps SERIES 823 ? STEEL / SERIES 825 - CAST IRON / SERIES 827 - STAINLESS STEEL SIZES LQ, LS, Q & QS (LQ-825, 823, 827 / LS-825, 823, 827 / Q-825, 823, 827 / QS-825, 823, 827) - Operating and maintanance Manual with Parts list. 422900 NCV Centrifugal Pumps NCV (???) 63/20, 63/20?, 40/20, 40/20?. Technical Specifications for repair. RUSSIAN LANGUAGE. 425001 BEAMEX BEAMEX PG300V Calibration pressure pump - Instruction for Operation and Maintenance, Spare Parts List. 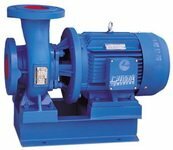 425002 EDUR EDUR NUB 300 - 800, NUB 32, NUBC 300 - 600, SUB 700 pump - Manual & Spare Parts List. 425003 KRACHT KRACHT Hydraulic Installations & Pumps (EN_DE) - Instructions, Descriptions, Drawings & Spare Parts List. 425004 SIHI SIHI side channel pumps AOH 1101?3603, AKH?6103 (for hydrophore) - Operation and Maintenance Manuals with Spare Parts List. 425006 KRAL KRAL K-series Screw Pumps without and with Magnetic Coupling - Instruction Manual with Drawings & Spare Parts.